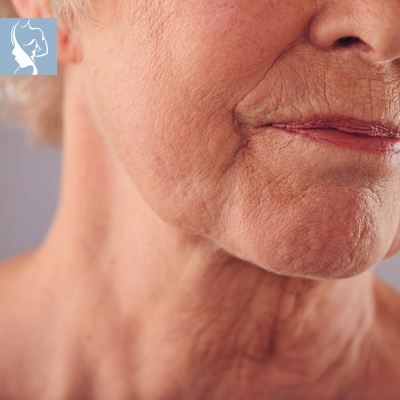 Sagging skin, along with the downward movement of fat pads beneath the skin surface, enlarged pores and several other skin changes, are all attributable to ageing. As we age, the body slows down the production of elastin and collagen, responsible for maintaining the skin’s firmness and elasticity. Over time there are also changes in fat pads, musculature and bone structures of the face that contribute to the overall effect. In addition, smoking, stress, lack of sleep, alcohol or significant weight loss can all also lead to lax skin. Sagging skin can be treated and improved in a variety of ways, with an emphasis on improving blood circulation, and the stimulation of collagen and elastin production, so helping to restore lost volume.